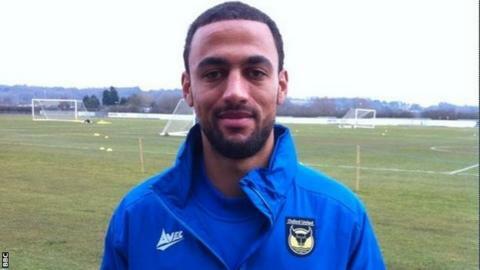 West Brom forward Kemar Roofe has signed for League Two side Oxford United on a one-month loan deal. The 22-year-old, who is out of contract at the Hawthorns at the end of the season, has had previous loan spells at Colchester,Northampton and Cheltenham. Roofe has yet to appear for the Baggies' first team. "All I want to do is play first-team football in front of fans, when the three points mean something," he told BBC Radio Oxford. "Oxford have seen me a few times and seem to like my playing style. I'm up for it, I just want to play football. "It's an important time for me in my career. I'm playing for my future." Roofe could come straight into the U's side for Saturday's game against Burton, who lie second in the table. "I know it will be a good test, it always is against one of the teams at the top of the table," he added.